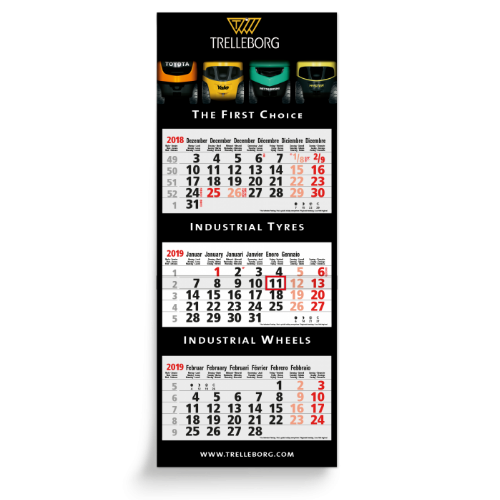 The 3 months calendar is the perfect give-away, but also a musthave when it comes to your own business stationary. Choose between blue and grey as colours for the calendrium to match with your design. You design can be printed in full colour on the headstrip. This calendar has a handy memo section to write down all your appointments, birthdays or other events.